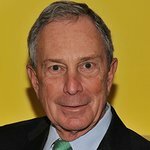 Michael Bloomberg created Bloomberg Philanthropies to encompass all of his charitable giving activities, including his personal giving and the Bloomberg Family Foundation. Bloomberg Philanthropies’ unique data-driven approach to global change grows out of his experience as an entrepreneur and a champion of innovation. In addition to Bloomberg Philanthropies’ five areas of focus – public health, arts and culture, the environment, education and government innovation – Mike Bloomberg has continued to support projects of great importance to him. Google trends for "Bloomberg Philanthropies"
We don't have any videos related to Bloomberg Philanthropies.